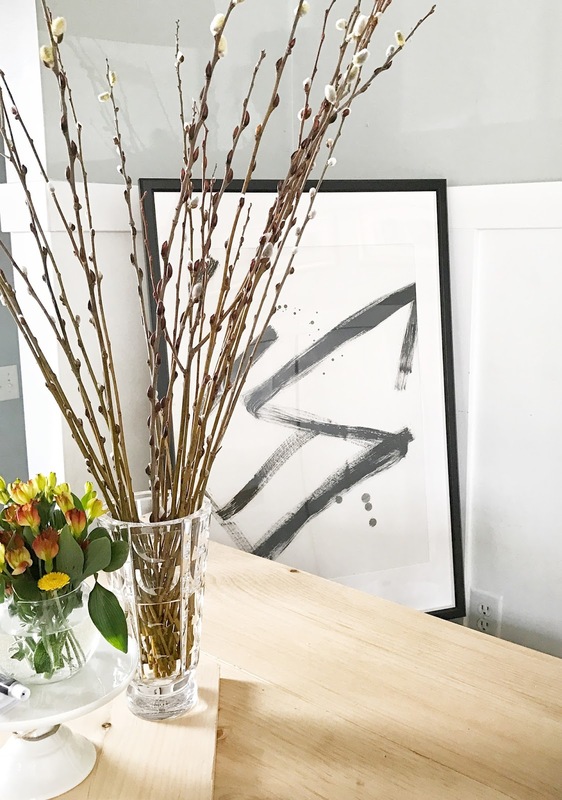 When I prepare my home for spring I often strip it of all the previous seasons decor. 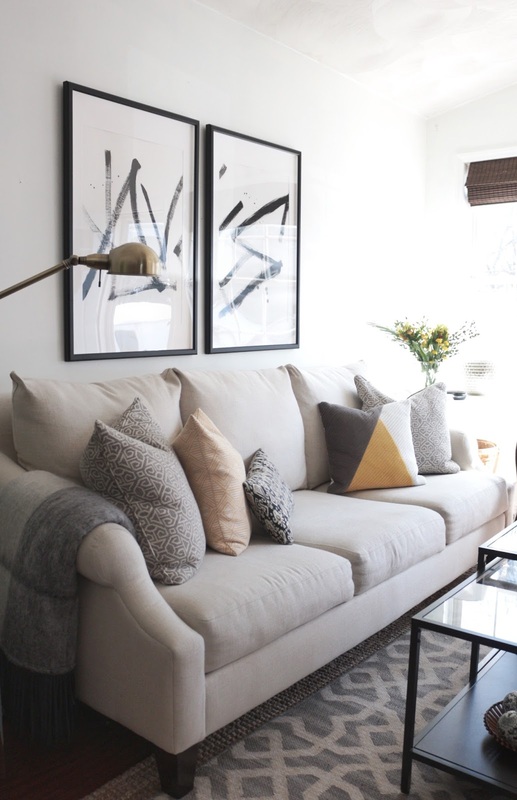 Pillows, curtains, wall art---all usually gets taken down and left down for a certain period of time. This allows me to look at my home with a renewed sense of vision and creativity, not clouded by my previous decor. So when I decided to take the large mirror down from over our sofa, I knew that I needed new wall decor to go above my sofa. That mirror had been in the room for a very long time and I was desperately seeking change (not to mention I literally had three wall mirrors visibly hanging essentially in the same space seeing we have an open floorplan . . . I have wall decor commitment issues, and mirrors tend to be my go-to). 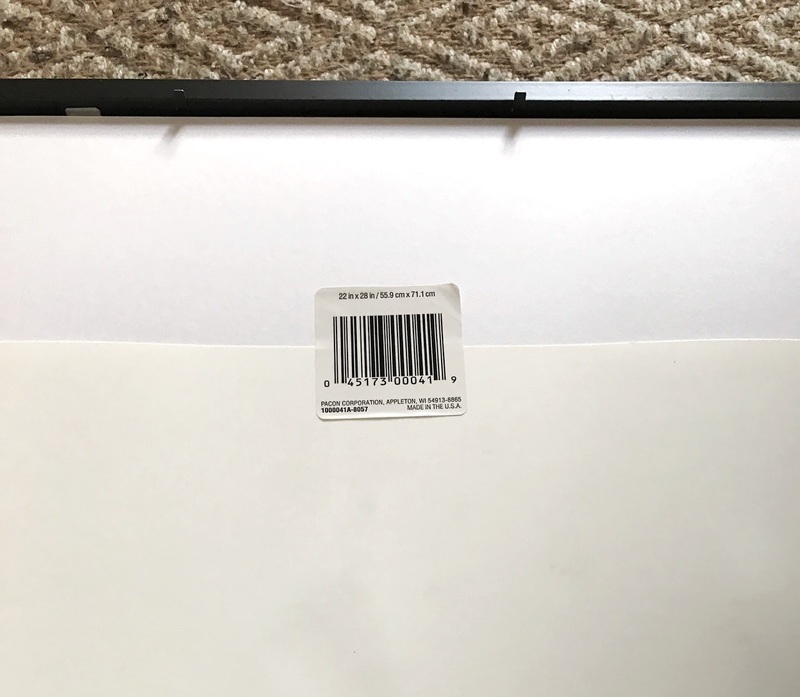 So I took a trip to Ikea and bought some large matted Gunnabo frames in black; they were about $20 each. These frames are huge and have a very sleek and modern design. I looked around for some type of abstract poster to frame, but couldn't find anything I loved. I decided I would create my own art using white poster board from Dollar Tree. I had no idea what I would paint but knew I wanted something very abstract . . . but where to begin?? 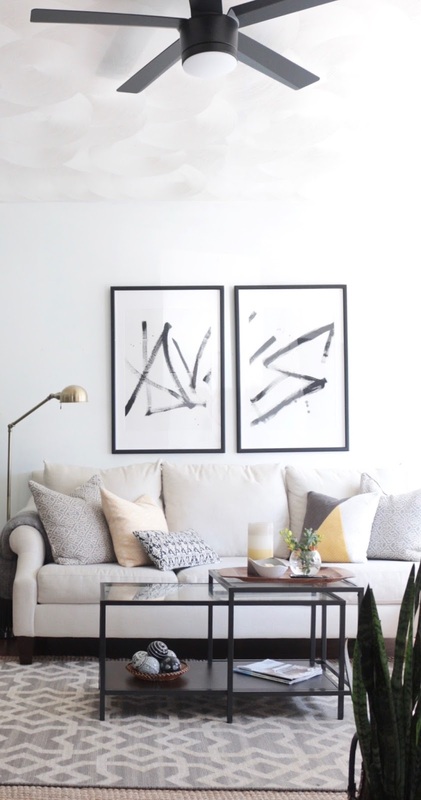 I googled "Black and White Brush Stroke Art," and was inspired by this image via West Elm. I knew I wanted my art to have some sort of meaning. 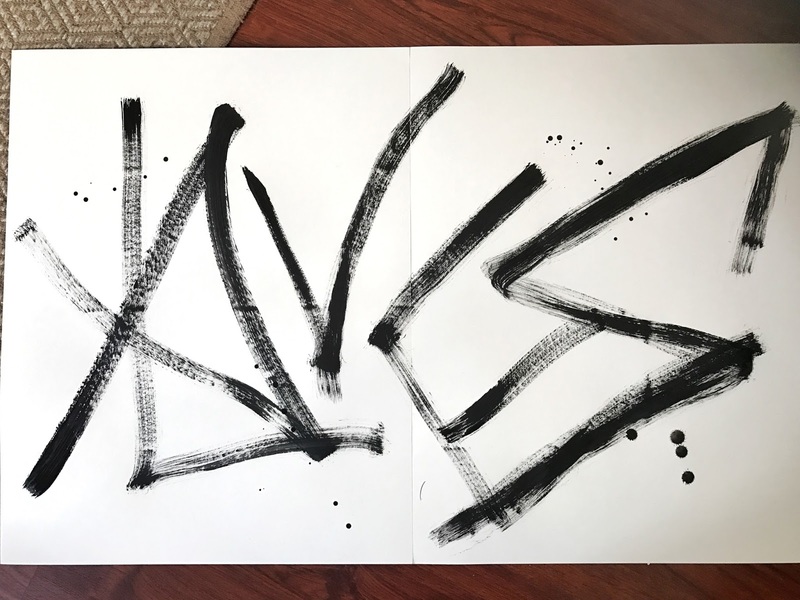 I decided to try our last name, but in a way that if you didn't really "know" us, you would just think it was just abstract art, so let me show you what I did . . .
First I flipped over my poster boards, and removed the pricing label, this is the side I wanted to paint on--the non-shiny side. 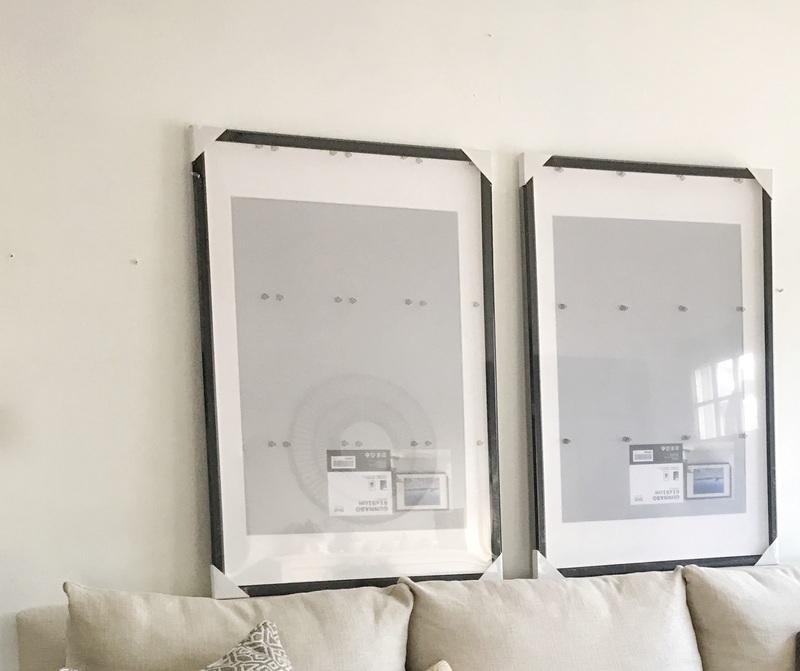 I then flipped the poster boards back over and taped them together using the same pricing labels to sort of create a diptych. Next I flipped the poster boards back to the matte side and prepared to paint. 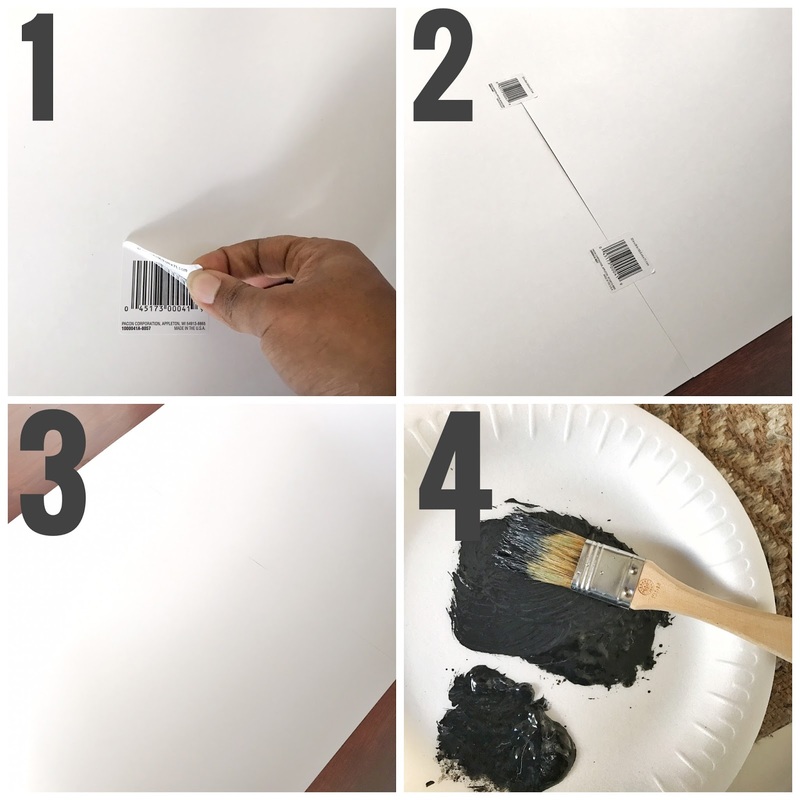 Mix your paint until you get your desired color, I used black with a drop of white. 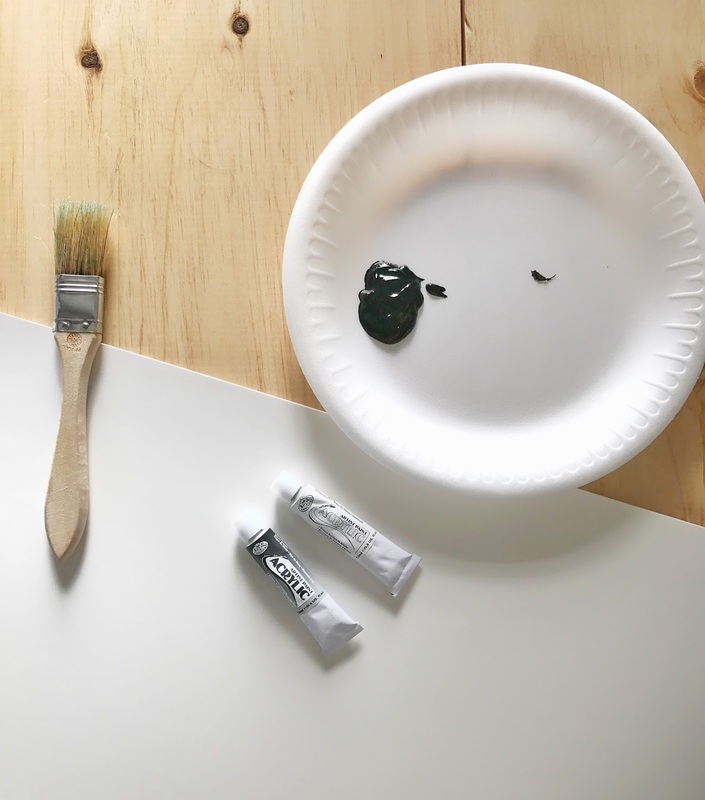 Keep your brush kinda of dry so that you get gradient shades of the paint within your brush strokes. Our last name has 5 letters, so I decided to just go with it and just painted the letters, overlapping and applying more pressure with the brush in some areas more than in others. Once I was done, I took my brush and dipped it in a tiny bit of water and added some paint splashes just to add some interest . . . then I allowed it to dry flat for about an hour and a half. Nope, it's not fancy and honestly not even very artistic, but pretty much anything looks better in a frame . 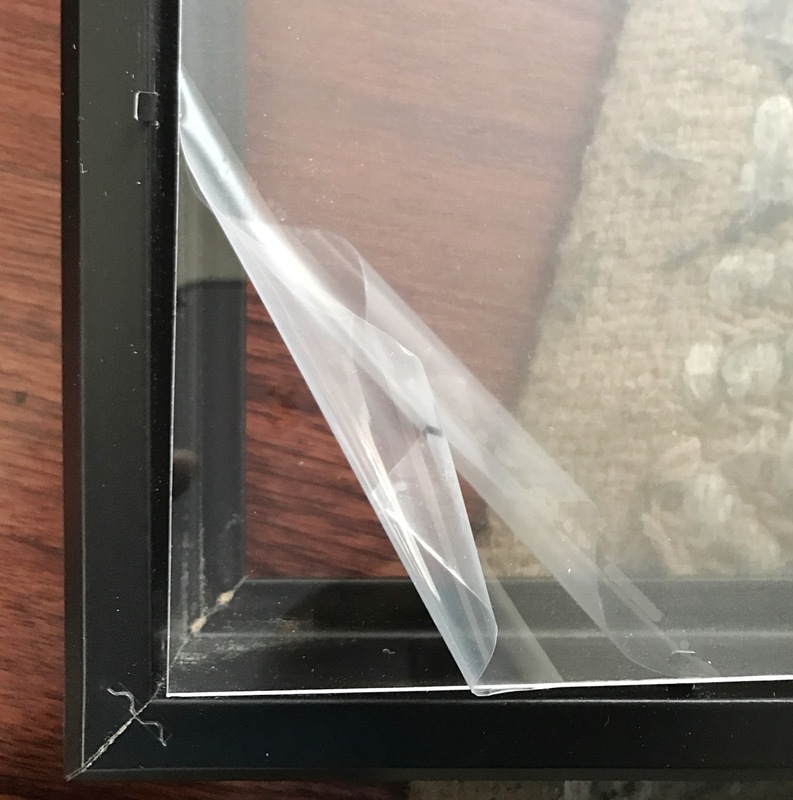 . .
Whatever you do, remember that the "glass" in Ikea frames is usually made of some type of plastic or acrylic, I accidentally cracked mine putting it into my car :( It's not too noticeable though. Once you secure your art, admire your creativity! ooh la la, I like! 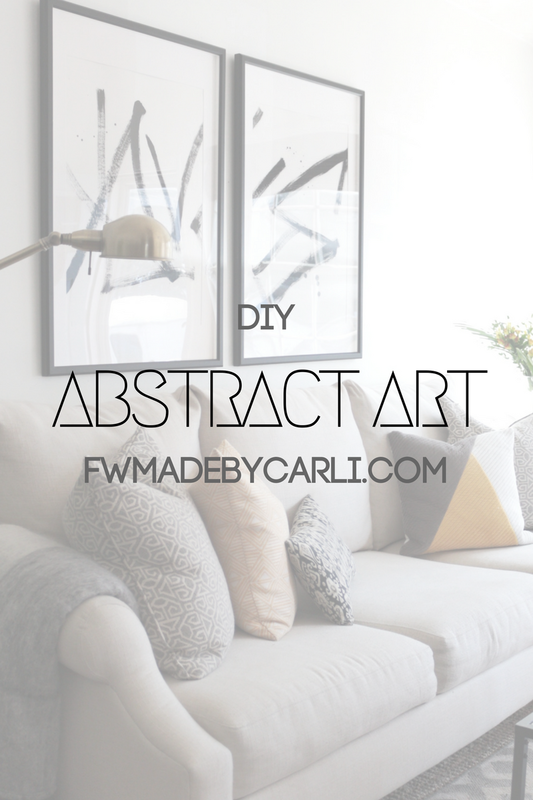 Have you ever created abstract art before? Is this something you would try? Be sure to check back tomorrow (3/15) as I've teamed up with 15 other talented bloggers to #SpringHomeLove, a Spring Home Tour blog hop---you won't want to miss it! Wow! So unique and cute! I love everything you do. I really need to try this. Wow, it's so inspiration. I've tried but it doesn't have art-looked as your. Btw, I can't stop myself from reading your post. Bisous!